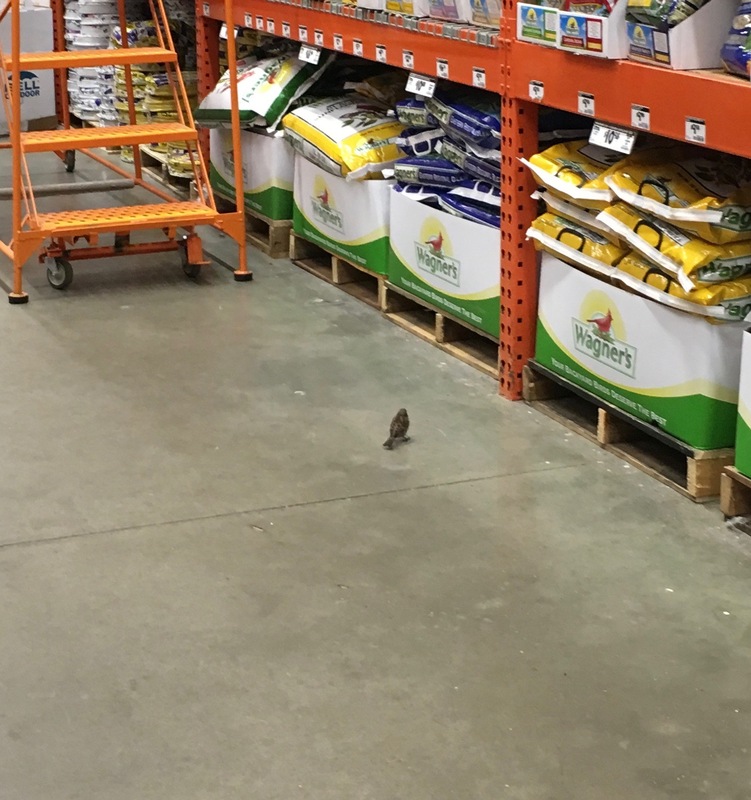 If you were a sparrow and you had somehow found your way into a Home Depot, which department would you live in? The bird seed section, of course! This must be every bird’s fantasy. 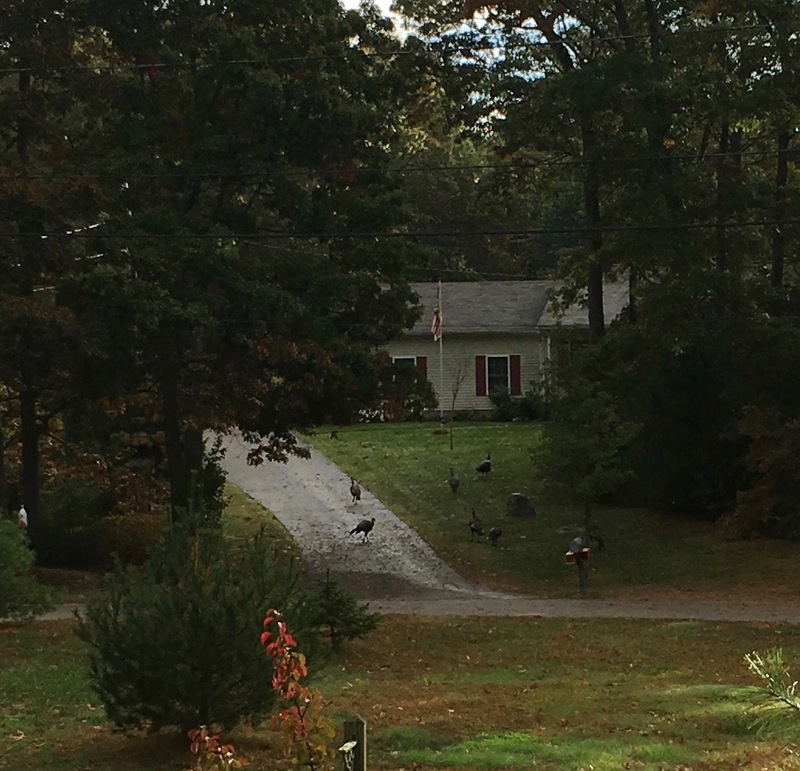 As I was taking the dog out one last time before I left for work, I saw a flock of wild turkeys browsing in the grass in the circle at the end of the street. When they saw us coming out of our house, they made their way across the road and up the neighbor’s lawn. They didn’t seem to be in any hurry and I was treated to a good long look. 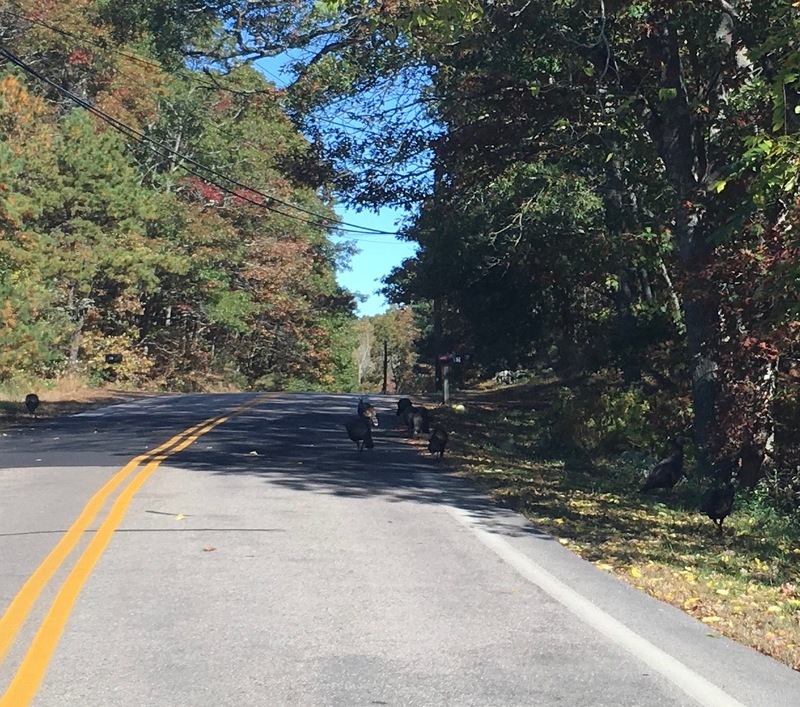 On my way home today, I came upon another large flock, grazing on both sides of the road. Encountering wildlife is always a pleasant surprise – like being let in on a secret. I always wonder about those birds in the stores. Love the pics you took of the turkeys. Thanks CJ. I sure hope the store is kind to those little birdies. 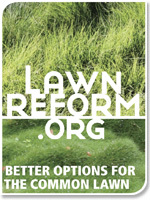 Me, too. Fingers are crossed. A flock of a dozen or more has made a home in our neighborhood and the nearby woods. Caught some (poor) video of them as chicks, now they’re almost scary big! They do get to be very big. They can be aggressive, too, although I have never encountered that.